Two TV programs in September 2012: “RTL Boulevard” and the German “Leute Heute”. 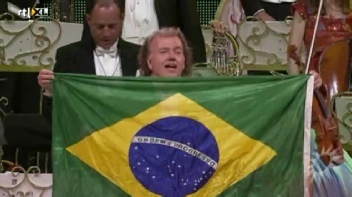 In June, July and September 2012 André Rieu performed a record number of performances (30 x) in one single venue in São Paulo in Brazil. In two short videos André reflects back on these concerts.